We specialize in longer term rentals and normally do not rent cars for less than a one (1) week term. Our insurer restricts us from renting for longer than 30 days at a time, however, we can extend the rental period beyond 30 days by renewing your contract. To keep it simple, we have the same low flat rates, regardless of the car year, make, model, etc. Similar to any other car rental agreement, you will be required to sign a contract that makes you responsible for all liability and any damage to the car. We do not sell car insurance, so be certain your personal auto insurance policy extends to cover rental cars in Hawaii for liability, collision and comprehensive. 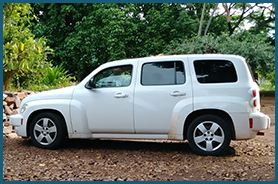 Most, but not all, insurance transfers to rental cars in Hawaii, so if in doubt, call your insurance agent to determine this. Furnish proof of insurance far enough in advance of your arrival so we can confirm with your insurance company that your insurance coverage is current and adequate. Normally, it is easiest to simply scan the insurance card for your personal auto and email it to us along with your agent’s name and phone number. We do not rent to anyone under the age of 25. We require that you do not smoke or transport pets in our cars as a courtesy to those who may rent after you with allergies or special sensitivities. You will be required to agree to not drive vehicles off-road. • Renter’s state, expiration and I.D.number on driver’s license. List same information for other drivers. You may choose to scan and email a copy of the driver’s license. • Insurance information: 1) insurance company 2) policy number 3) insurance agent name & phone. You may choose to scan and email your insurance card for your personal vehicle. • Your scheduled arrival information: 1) airline 2) flight number 3) time of arrival. 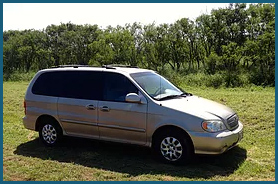 (Since flights to Molokai from Honolulu and Maui often depart late or sometimes even early, just before departing from Honolulu or Maui it is helpful for you to call us so we can arrive at the airport with your car when you do. Reservation requests can be made on-line by clicking on the button below or by phone. A 20% (of your total cost) deposit is required to confirm and hold your reservation. The deposit can be paid by Visa, Mastercard, personal check, or cash. The deposit is refundable until 30 days prior to your rental date. Balance is payable upon your arrival. 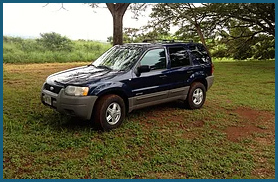 If you want to reserve a car, have any questions about Mobettah Car Rentals, or if we can help you find a place to stay or in any other way in planning your trip to Molokai, please contact us! We look forward to meeting you.